US Vice President welcomes findings of Special Counsel's investigation on Russian interference in presidential election. 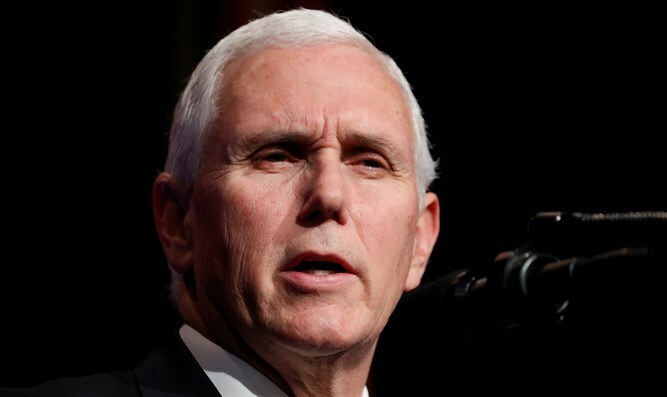 US Vice President Mike Pence on Sunday welcomed the findings of Special Counsel Robert Mueller's investigation on Russian interference in the 2016 presidential election, calling it "a great day for America." "Today is a great day for America, President Trump and our entire administration. After two years of investigation, and reckless accusations by many Democrats and members of the media, the Special Counsel has confirmed what President Trump said along; there was no collusion between the Trump campaign and Russia during the 2016 election," Pence said in a statement quoted by The Hill. "The Attorney General also confirmed that there was no obstruction of justice. This total vindication of the President of the United States and our campaign should be welcomed by every American who cherishes the truth and the integrity of our elections," added the Vice President. "In the days ahead, the American people can be confident that the President and our entire administration will continue to focus where we always have, on the issues most important to our country," he continued. Earlier, a letter by Attorney General William Barr revealed that Mueller’s investigation had found no evidence that Trump or his campaign colluded with the Russian government to alter the outcome of the election. Barr said he and Deputy Attorney General Rod Rosenstein decided not to pursue an obstruction charge after reviewing the Special Counsel's findings. Earlier on Sunday, Trump also welcomed Mueller’s findings while calling for an investigation of “the other side”.